A woman has been arrested on suspicion of murder after a man was found stabbed to death in a house in Jarrow. 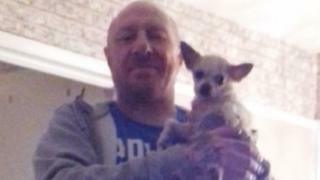 Paul Taylor, 45, from Hebburn, was pronounced dead at the scene after police were called to a house on Thames Avenue just after 12:40 BST on Sunday. Northumbria Police said the victim and the 44-year-old woman, who is in custody, were known to each other and there was no wider risk to the public. Ch Supt Sarah Pitt said Mr Taylor was a "well-liked and much-loved man". She said: "His family are obviously devastated by their loss. Our thoughts are very much with them."